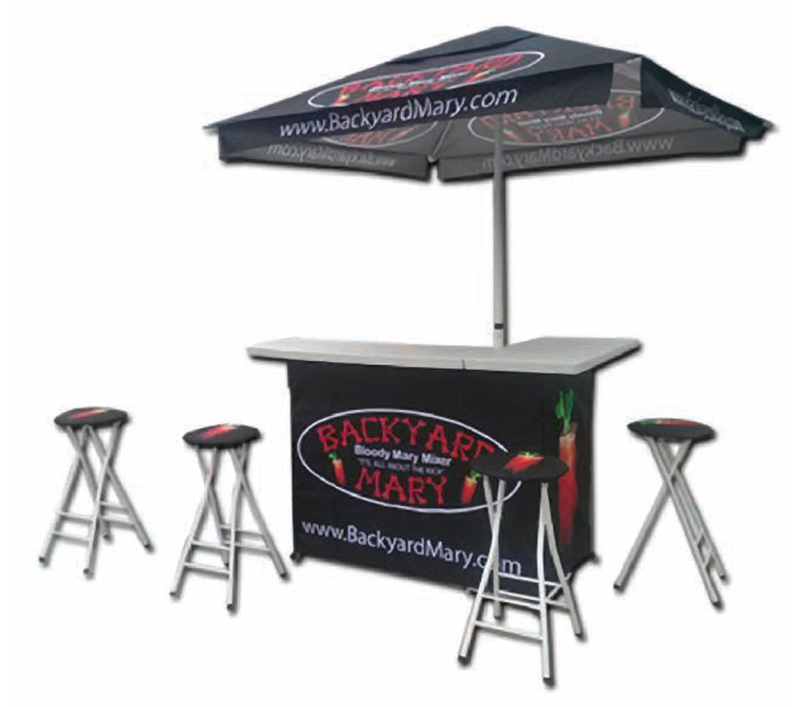 Sunny days are on the way, and we have some amazing deals on tent canopy packages and outdoor flags to get you ready for your next outdoor event or promotion! Check out the fun and functional Welcome Centre Watering Hole Bar Kiosk to welcome your guests! 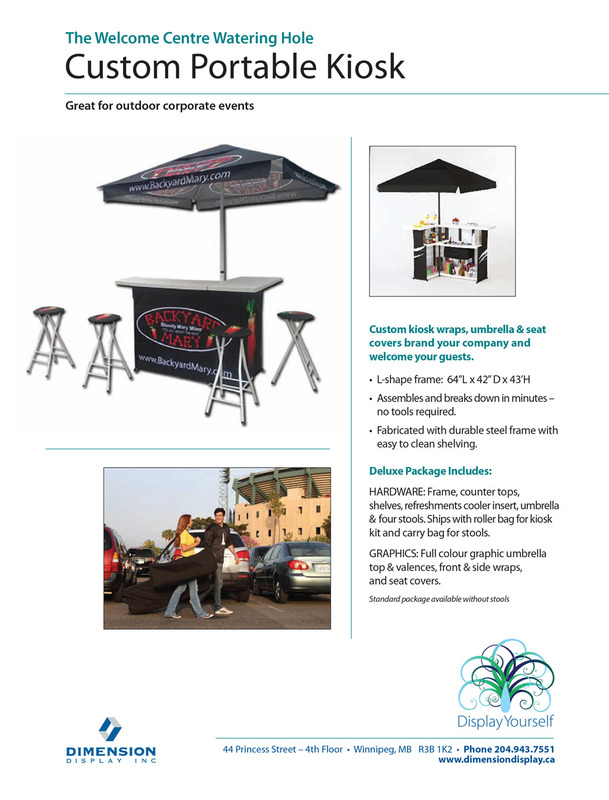 Great for outdoor corporate events, this unique kiosk has an L-shaped frame and assembles and breaks down in minutes (see full details below). Call us for more info on our sizzling summer sale! 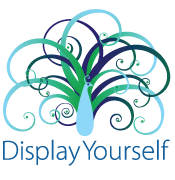 « Know Where you Stand with your Budget Display Stand!